Product Info Enjoy great-tasting water with the latest filter technology. The ZeroWater filtration system combines FIVE sophisticated technologies that work together to remove virtually all dissolved solids from your tap water, delivering you great tasting water. 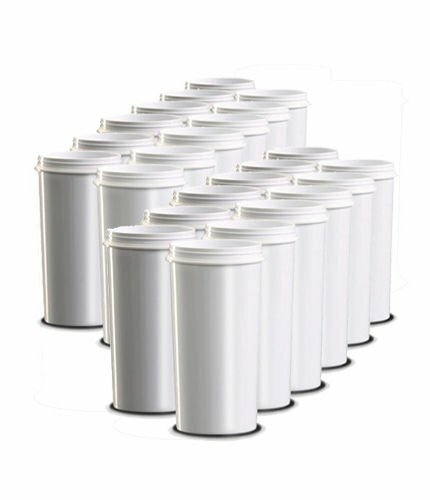 These are the only pour-through filters on the market certified by the NSF to reduce lead. ZeroWater's first layer of filtration, activated carbon and oxidation reduction alloy removes the chlorine taste you are accustom to with tap water. The Ion Exchange stage removes virtually all dissolved solids that may be left over from public water systems or even leached into your water from piping such as Aluminum, Lead, Zinc, Nitrate and more. Three additional stages are included to remove other impurities and to ensure your water receives the appropriate amount of treatment time to deliver a "000" reading on your laboratory-grade Total Dissolved Solids meter included. Stage 1: Coarse filter to remove fine particles/sediment. Stage 2: Distributor that maximizes contact time. Stage 3: Multi-layer system using activated carbon and oxidation reduction alloy. Stage 4: Comprehensive ION EXCHANGE array. Stage 5: Non-woven membrane to remove fine particles.